The more people support and are passionate about the City they live in, the more successful and profitable that City will be on all fronts when compared to others. We will be particularly focusing on our small businesses, but also on broader issues that we believe can make Orange an even better place to live in and visit. Pride in our City, our facilities, our general progress, city beautification, the experience visitors have, and our overall image will all be areas we’ll touch on throughout 2019. 1. Setting up a group of suitable qualified people to be known as “Team Orange”. This group will act as both an advisory and working group to drive our “Put Orange first!” project. Ideal candidates could include current or retired business owners and people with aspirations to stand for Orange Council at the next local government election. 2. Seeing the public appreciate and support local small businesses more. 3. Seeing local business owners and managers keener to always offer customers a great shopping experience. 4. Seeing more new businesses open in Orange. 5. Liaising with Council to get basic (important) issues dealt with in a more timely manner. 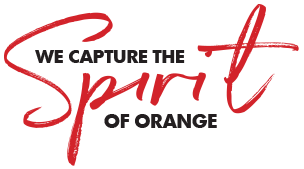 Keep watching OC Life for ways you can help or support the various “Put Orange first!” initiatives or contact us if you’d like more information or to be added to our “Put Orange first!” email list. Jan 24 January 26th - A day for celebrating….and Carcoar is the place to do it!